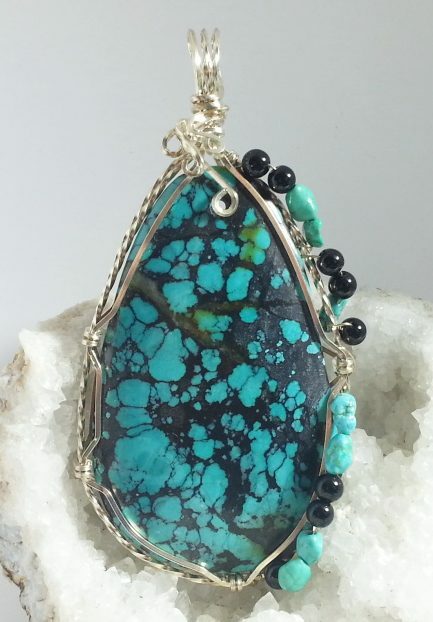 This is a beautiful Teardrop Chinese Turquoise stone which I fashioned into a lovely Pendant using the Traditional style of Wire Wrapping with Argentium Sterling Silver. 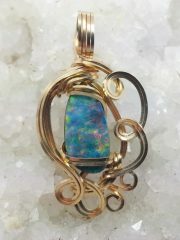 I enhanced the pendant using Turquoise chip and Black Onyx beads to highlight the colors of the turquoise. 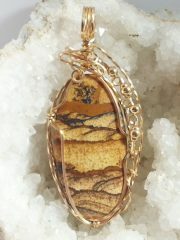 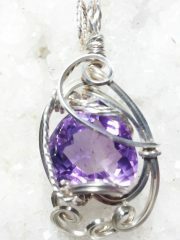 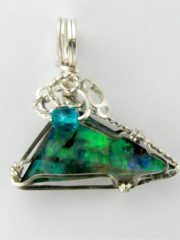 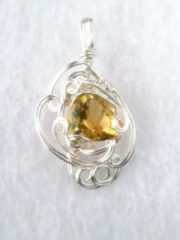 This pendant is 3 1/2″ long and 1 3/4″ wide, it is definitely a statement piece.